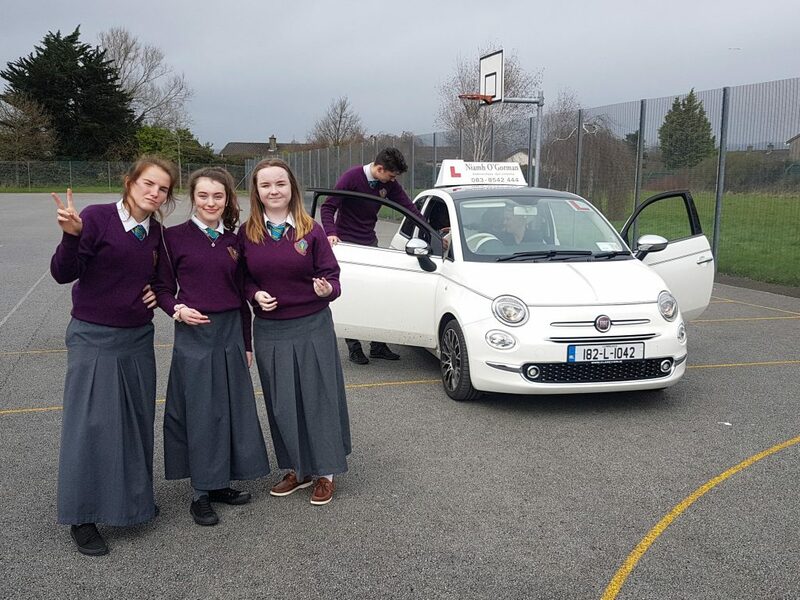 On Wednesday, 20th March, Both TY classes got a day workshop learning how to drive, change a tyre, theory test practice and try out their shooting skills while wearing Beer goggles. One of the highlights of the day was when Shannon Ryan was driving and while thinking she was doing brilliant, stuttered the car causing it to shake and nearly destroying poor Niamh Micks phone as she tried to record the experience… Might need a few more driving lessons Shannon!! Overall everyone thoroughly enjoyed the day and learned some valuable skills for when they turn 17!